The change from R2 to R2.5 will preserve Eliot’s residential character, especially within the Historic Conservation District. This change primarily protects existing residents from inappropriate development by speculators buying up their neighbors’ houses to build a 3 to 4 unit apartment. It will limit high-density, high-rise infill apartments with no parking. It will also preserve more of the deep yards unique to the historic district. Existing property owners will still be able to add housing units to their land, size permitting, but in a way more compatible with existing homes. The change to MU from C and E is happening city-wide. Planners recognize the existing C and E zones aren’t working well. They allow incompatible development adjacent to residences and are confusing to developers and neighbors alike. 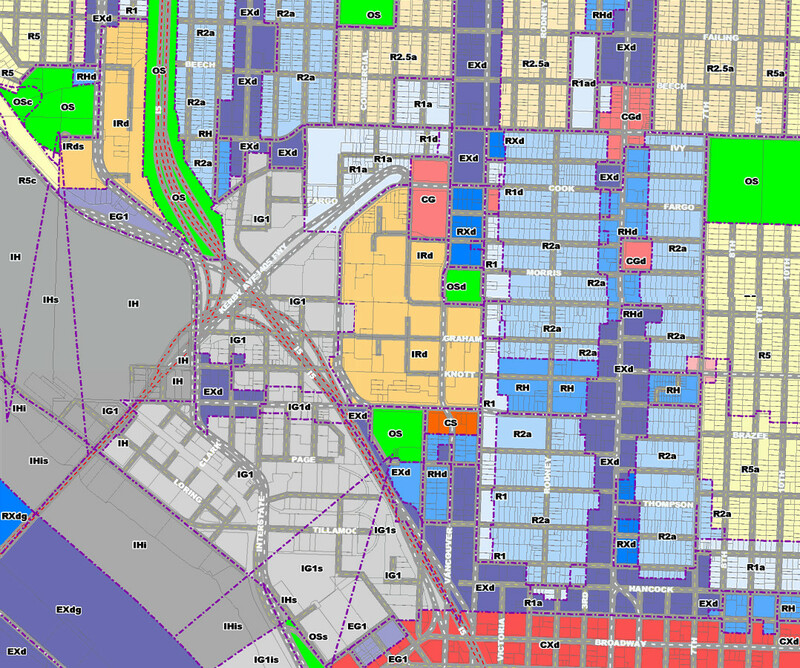 There is an ongoing effort to redefine the existing zones into a single, MU zone that allows the same range of development and use, but with increased predictability to both developers and neighbors. The current zones allow 6 story buildings immediately adjacent to residences. The new zone, yet to be defined, is expected to mandate “transitions” adjacent to residences and associate maximum building heights to the adjacent street. For example, a building along MLK could be taller than one on Williams because MLK is wider. A tall building that would be out of place along Williams may be a better fit on MLK. More details about the new MU zone will be forthcoming in the next few months. It’s nice to see a slight zoning adjustment to the bulk of the residential portion of the neighborhood. It helps protect the remaining historic housing in the neighborhood as well as increase density. The change supports neighbors who are interested in making the neighborhood great instead of those driven by money. Neighbors who have invested time, money and sweat restoring the older homes and making this neighborhood desirable get some protection to keep the momentum going.